It’s the best of both worlds: the outstanding results of laser CO2 resurfacing and the minimal downtime of less-ablative procedures. It’s fractional CO2 laser resurfacing, and in one 20 to 30-minute treatment, it can improve lines under the eyes and around the lips better than any other laser on the market today. Plus, it can shrink pores, reduce pigmentation, reduce lines and tighten skin throughout the rest of the face – and all with an extremely short recovery (just days) and long-lasting results (years)! The new UltraPulse laser by Lumenis is the most versatile C02 laser system available. It delivers fractional co2 treatments using two different attachable heads which offer varying depths so treatment can be customized just for you. Excellent for treating fine lines, fine wrinkles, dyschromia (patchy, discoloration of the skin), clogged pores, and comedones (blackheads). Ideally suited for treating deeper wrinkles, scars, and folds. Treatment only takes 20 minutes and the downtime is minimal. Results are long lasting. A combination of both the more superficial Active FX and the deeper Deep FX treatment. 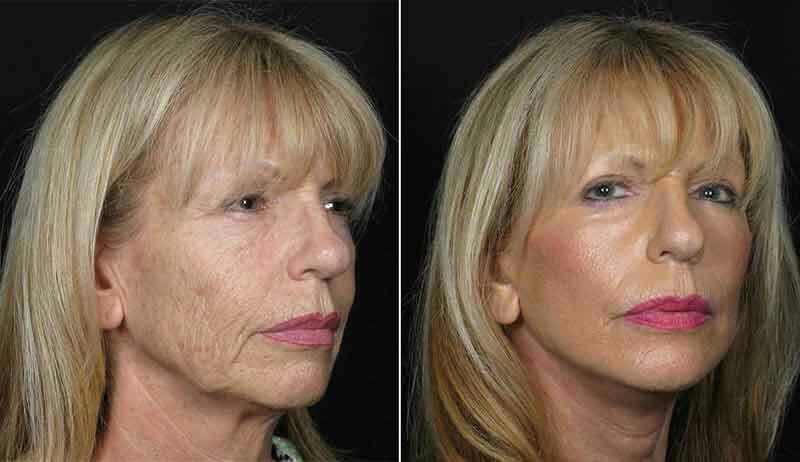 This treatment is comparable to traditional CO2 laser resurfacing but is less ablative. It is effective for more serious dyschomias, heavier lines and wrinkles, and scars. With more than 34 cleared FDA indications for aesthetic use, the UltraPulse laser offers a safe, effective and totally tailored approach to laser rejuvenation. The Laser Center at Contour Dermatology is proud to offer this laser among our comprehensive inventory of the latest laser technology. The Ultra Pulse laser is commonly used on the face, around the lips, for crow’s feet, the neck, upper chest, hands, and arms. To learn more about the fractional laser CO2 resurfacing, please call the office to schedule a personalized consultation.